Happy Thursday! Hope everyone is having a great week! 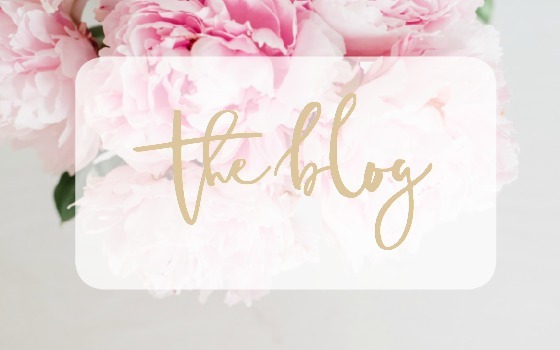 This week marks Restyle It Wright’s one month Blogiversary! 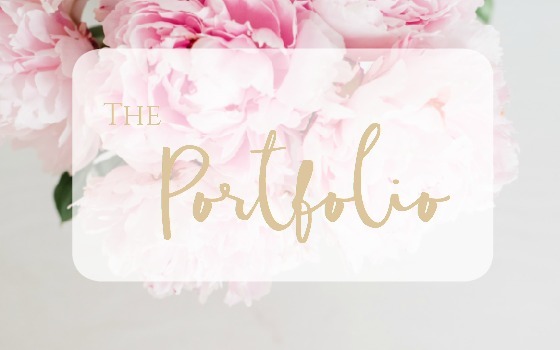 What a busy month it’s been! Thank you all so much for supporting me and leaving sweet comments along the way. 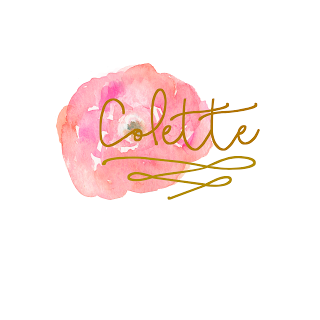 I can’t wait to see where this little blog goes. Thank you for inspiring me every day. 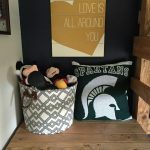 I am getting so close to Drew’s Room Reveal and I can’t wait! Checking this big one off the to-do list will be a relief. I’m wrapping up a few last minute details to his room, which includes doing some good ‘ol bookcase styling. 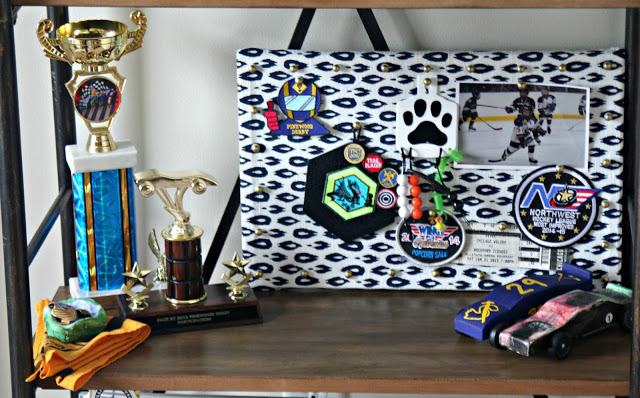 As I was styling his bookcase, I was inspired to collect items I had around the house to DIY a sweet little memo board to place on one of the shelves to hold his mementos. 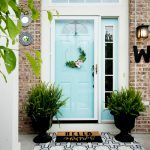 Let’s just start by saying this is the easiest DIY you will ever do and if you’re lucky enough to have this stuff on hand, it will cost you zero dollars. How’s that for awesome! 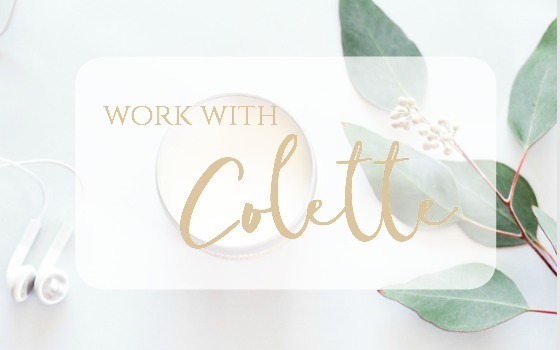 Here are the 7 easy steps! 1. 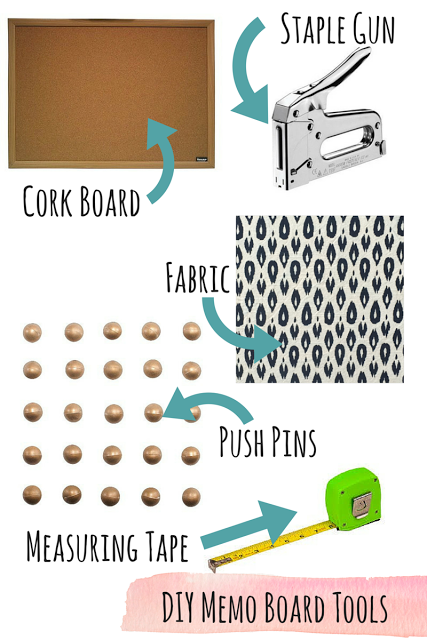 Start with any size cork board with a hard backing (usually mdf material). I happened to have a 12×18 board on hand, you know just in case I wanna whip one of these up. 2. 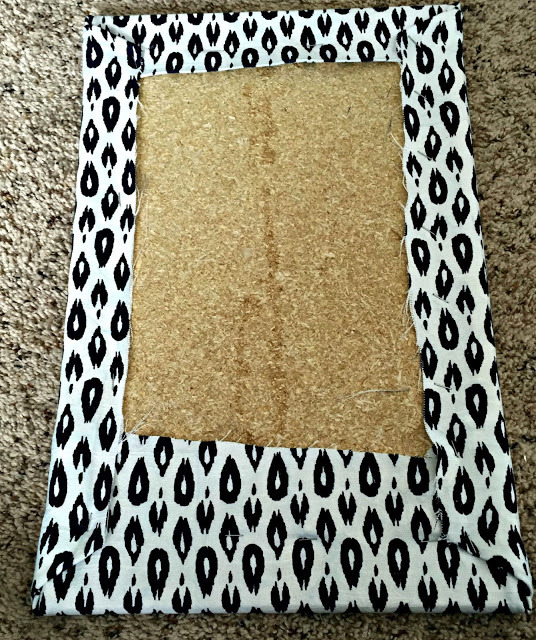 Grab some fabric and lay the cork board on top ensuring you have about a 5 inch overlay all the way around. Cut off any excess beyond that 5 inch overlay. 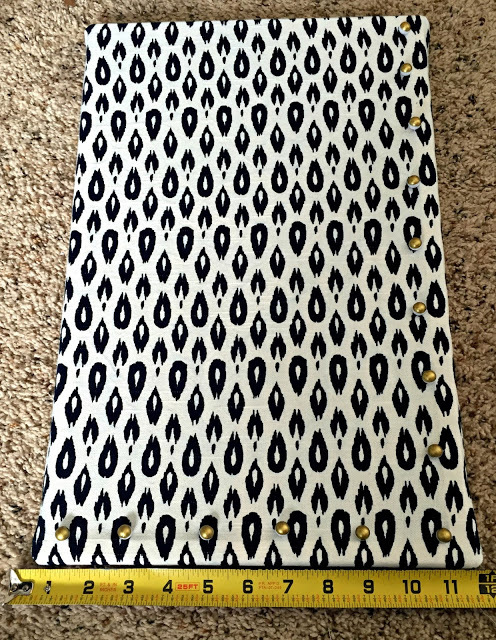 I’m realllly bad about knowing how many yards of anything I need so when in doubt, take the piece into your local craft store and they can help you decided how much fabric you need. (yes, i’m the one walking around the fabric store with a 2 ft piece of mdf). 3. 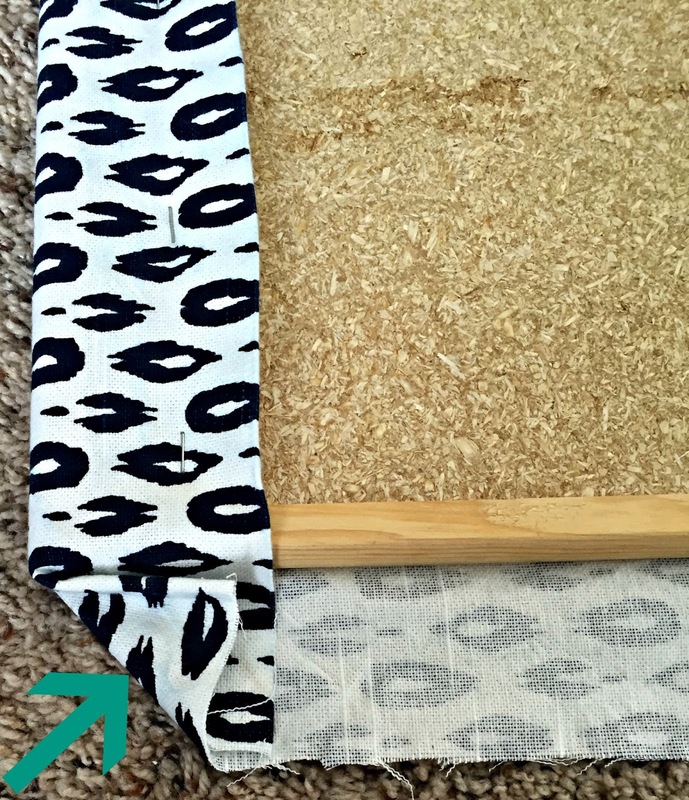 Make sure the cork board is lying face down centered on back side of the fabric. 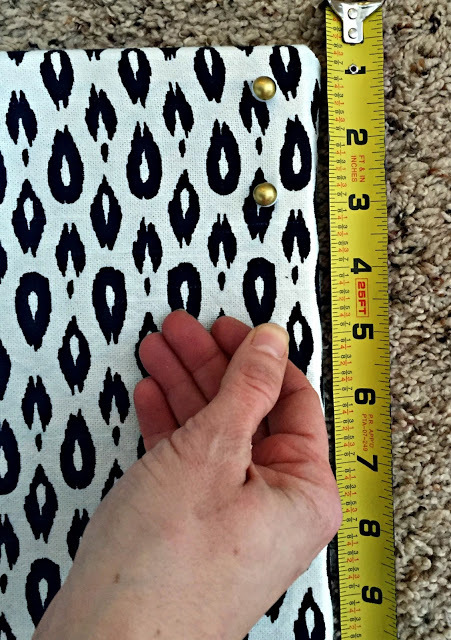 If you have a pattern on the fabric, make sure its aligned and not crooked. If you need more assurance your fabric won’t wiggle then before you staple, you could spray some adhesive on the front of the board to help the fabric stick. 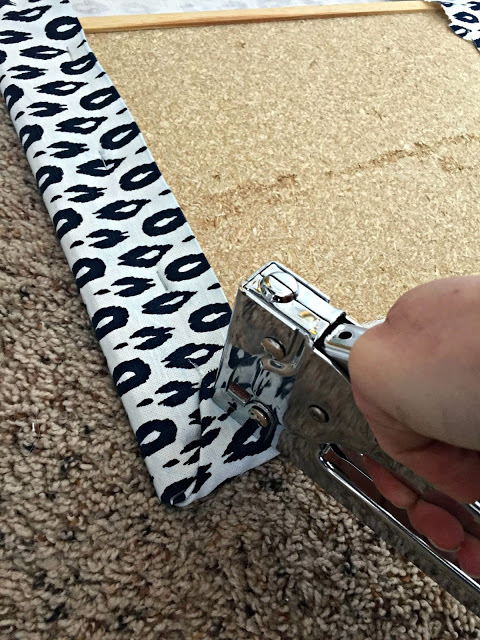 Once you have your cork board and fabric ready it’s time to staple! 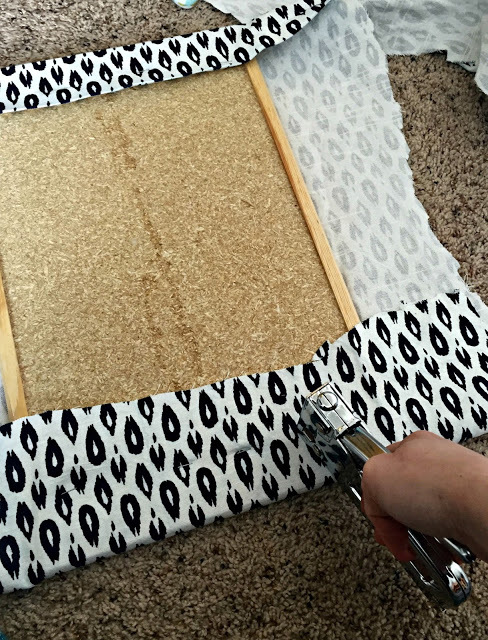 Gently pull the fabric over the cork board frame at the top of the board and staple the fabric to back of the cork board. Next, staple the fabric the same way, gently pulling, on the opposite side. Now both the top and bottom are stapled leaving the sides open. gently pulling up and over the frame and stapling into the cork. When all the sides are complete the back will look similar to this. 5. Now it’s time to flip her over and admire your work! As you can see my pattern isn’t perfectly straight, but c’est la vie. I could should have redone it, but when all was said and done it was hardly noticeable. 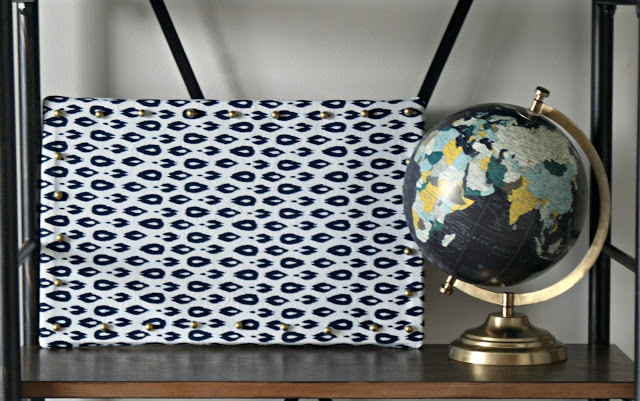 At this point you could leave the board as is and you’d have yourself a cute little memo board to hang on the wall or place on a desk, however, I wanted a bit more of a decorative element. So, if you want to add more, on to step 6! 6. Purchase some thumb tacks you like or grab some if you have them lying around. Depending on the size of your board will determine how many you’ll need. I had these sweet gold ones left over from a memo board I did earlier this year so that’s what I used. (Man, I’m really starting to look like a hoarder!) There are about 25 in a box and for a board this size I used 26 pins. The left over pins are used to pin the items you want displayed onto the board. Starting in the top right corner, we are going to insert the push pins every 2 inches on the edge of the cork board, all the way around with the ruler as your guide. Here’s where you can get creative, if you want them closer together than you can do 1 inch or further choose 3 inches. Totally up to you. Warning: Your thumbs may go numb. How sweet is that? 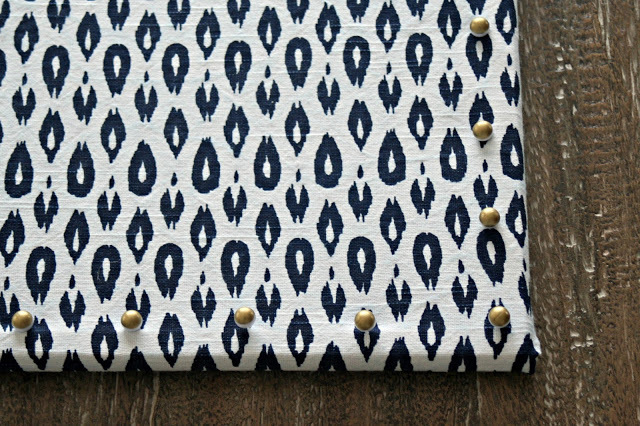 I love how the gold pins mimic a nail head trim, which I heart. By choosing pins with a little height to them it adds some dimension to the board, but flat pushpins would work great too! The skies the limit. Here it is propped up on a shelf. 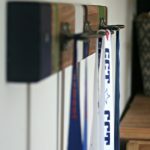 But you could also hang them on the wall as part of a command center in the kitchen or to display photo’s and memento’s. I made one earlier this year in Abby’s room with plain linen to display Instagram photo’s. My thumb was numb for days after doing two of those boards! The inspiration for this board, however, was my son. I was looking for something to display his boy scout patches, ticket stubs, and other various things he collects. He’s a sentimental kid that’s so proud of his achievements and this is the perfect way to showcase them. Bonus it adds a little pop of color and design to the bookcase. 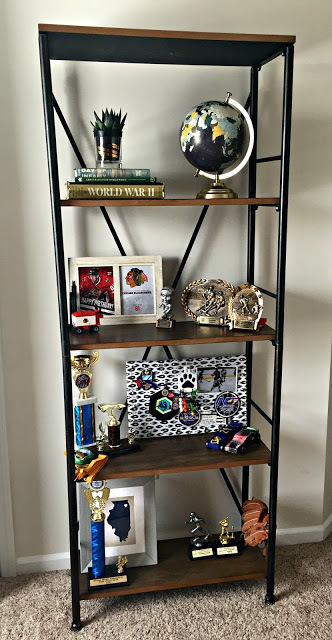 His bookcase isn’t design worthy styling, however, it holds all of his precious memories and he couldn’t be happier. After all, isn’t that what our homes are all about? 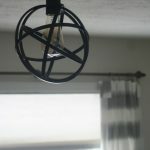 Whipped up any DIY projects with items you’ve had on hand? It’s the best! 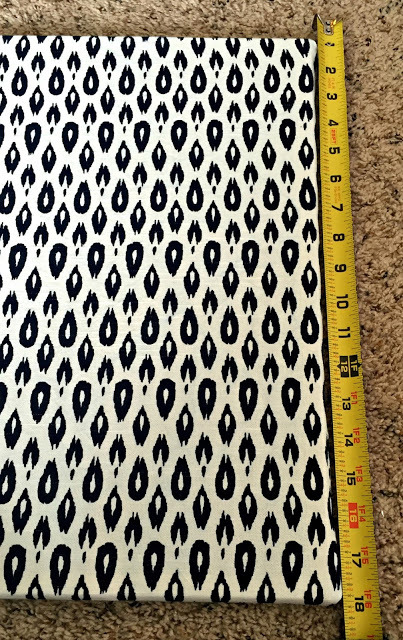 I am loving the fabric you chose! I think your memo board came out awesome!! 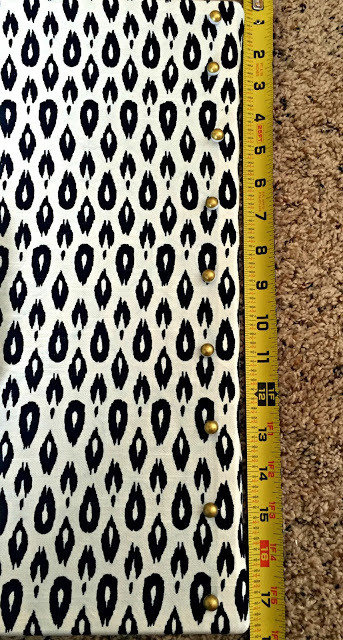 Love that fabric. 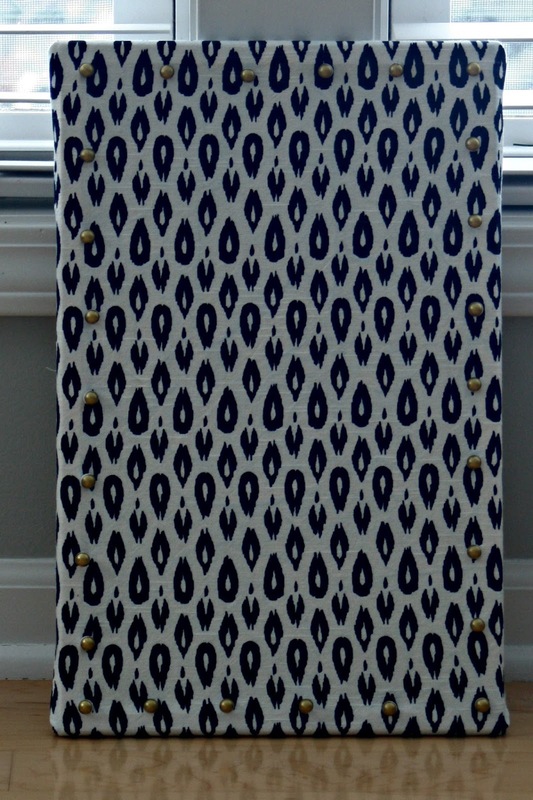 It makes a unique and snazzy memo board. Great job! 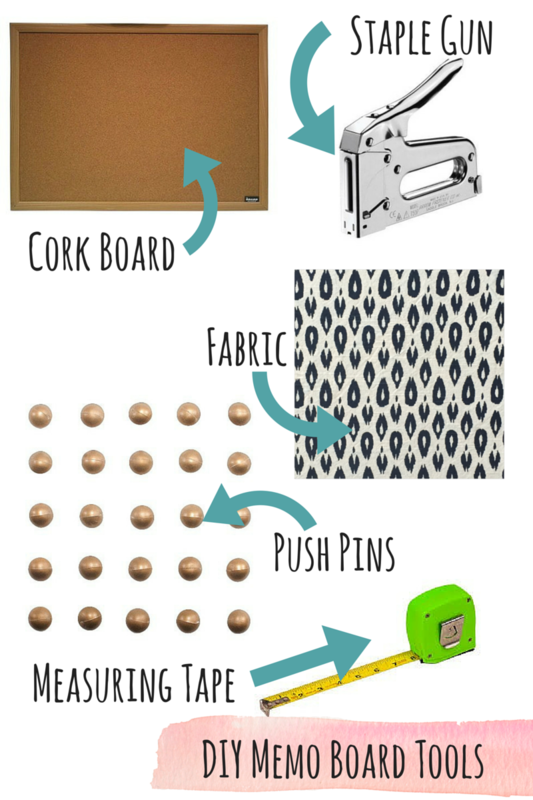 I love this, it's such a fun way to fancy up a cork board. I need to do this with mine to match my office/bonus room! I love the print and how quick it was to make. Perfect to make for DIY novices like me who need help in the renovation skills department lol! This is so darling! 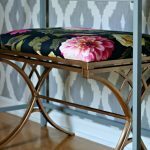 I love the fabric that you chose to cover it with. So darling! What an awesome idea. Simple enough that even I could do it. Very cool. What a cool idea!!! Hmmm I'm going to need to step up my board!! Haaa!! Congrats on your one month as a blogger. Much success to you!! This is a great idea! I have wanted to cover our three cork boards with fabric for a while now, but haven't done it yet. This looks pretty easy though! 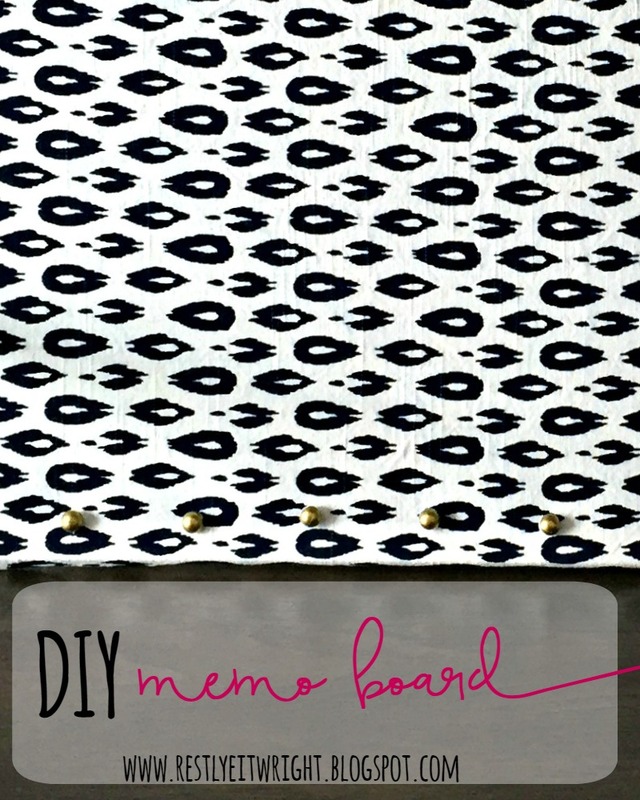 This memo board is so pretty and I love how you can customize it with the print and design that suits you. I've never been very creative but I think I can totally do this. That is so fun! 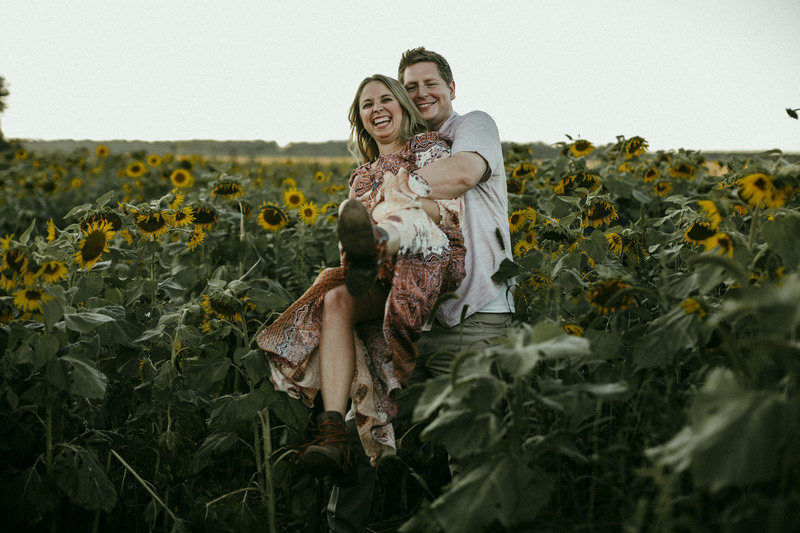 I love how something fun came from an inspiration for your son, what a sweet project. I adore this idea so much. It turns a boring cork board into something more inspiring and fun. That look so cute and easy to make. I need to make one for my guest bedroom! That's really pretty! I'd love to do something like that sometime. Adorable you did a great job! I really want to try this! This looks really gorgeous. I was looking at buying one the other day, but it looks so simple to make one I may as well do it myself 🙂 thanks! 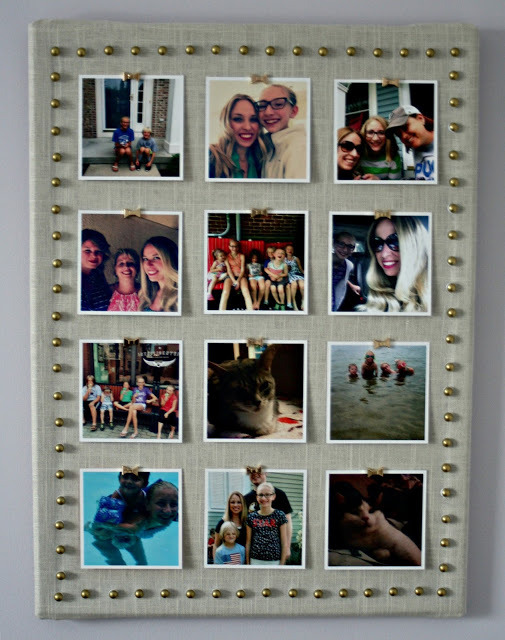 What's great alternative to picture frames! I love getting creative with home decor. Thank you for this project. I'm going to pin this on my board so I don't forget. Thanks so much! 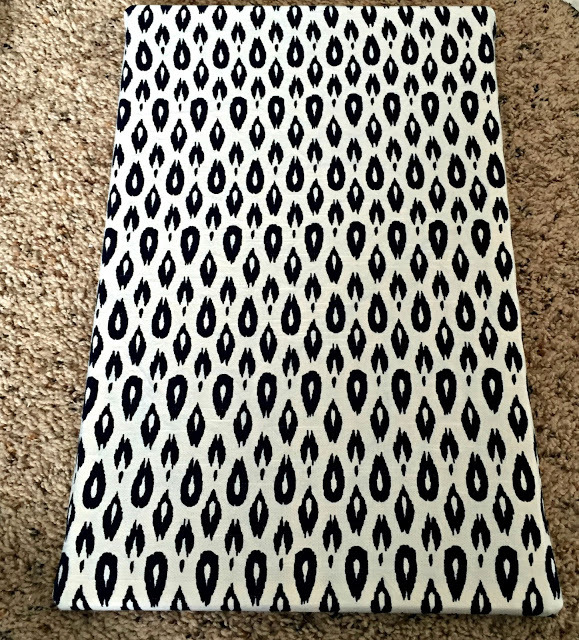 Nate Berkus for the win! hahah thanks Ana. Very easy to do! Thanks Michele. Go for it! you can do it Jill! you can totally do it yourself Megan! And customize it to your liking! Very easy Heather. You can do it! thanks Ashleigh. What can I say, the boy is a designer at heart. Thanks Kimberly! You definitely should make one 🙂 post pics! Thanks Claire! you should do it! I like the brass nail head tacks that you added. It looks very polished 🙂 and professional! And it's a great place to share your son's patches.